With an abundance of apples around at the moment I have been given more than my fair share and we have had plenty of crumbles, particularly with blackberries. Although I have a crab apple tree which leans over from the neighbours’, I don’t have an eating or cooking apple tree in my garden. It’s on my list of things to plant for next year but if you are lucky enough to have an apple tree in your garden make sure you take advantage of it. And if you can’t use them all, give them to your friends! 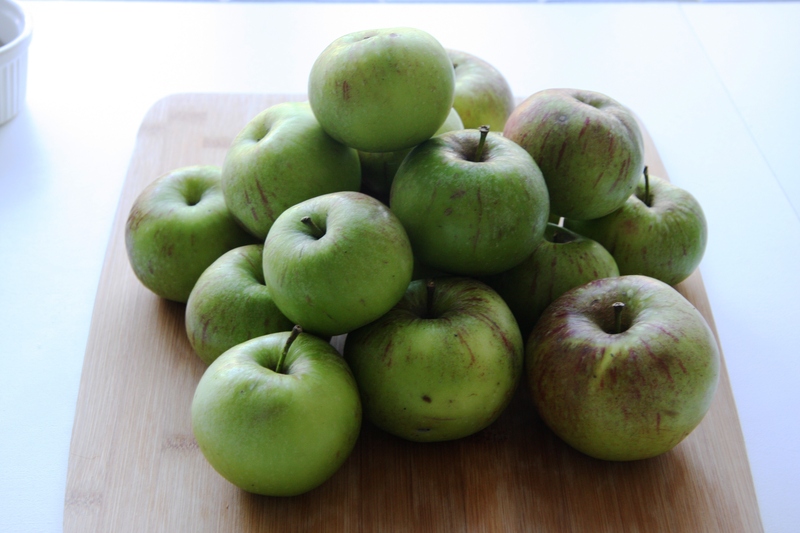 When you have had enough of eating apples either raw or stewed, or in crumbles, pies or cakes, they can be peeled and sliced and then frozen in bags, ready for cooking. Apples can also be stored for a while as long as they are undamaged and pest-free and are kept in a cool dark place, wrapped in newspaper or in a traditional storage rack. 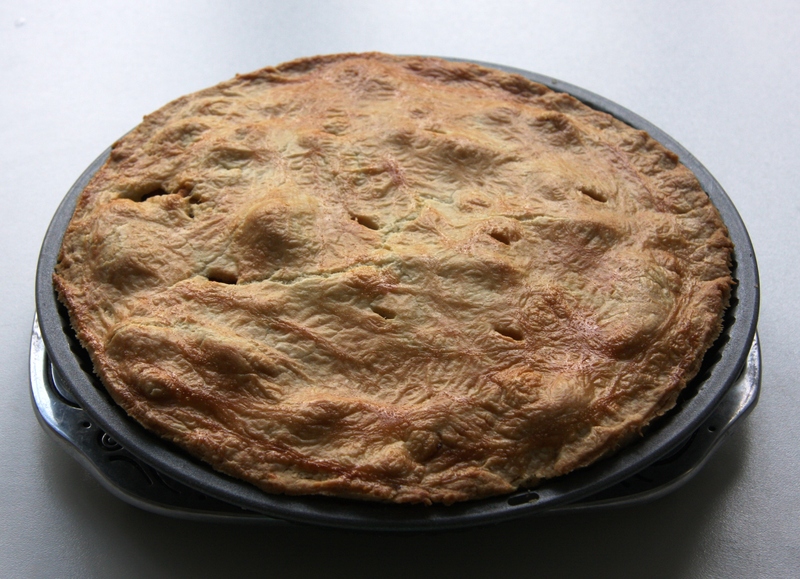 As the days get cooler and the nights are drawing in, I thought it was time for a proper apple pie to welcome the autumn. 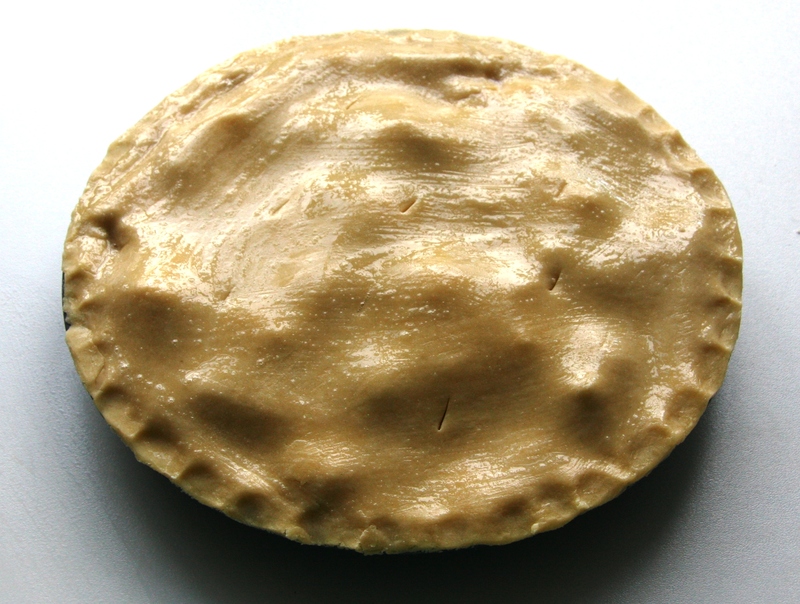 This is a pie with a relatively dry filling so it slices and keeps well, which is not to say that the filling is dry, it’s just more of a piece-of-pie-with-a-cup-of-tea type of pie than a deep-filled, eat-with-custard-for-dessert type of pie. Chop the cold butter into small cubes and add to the flour. Rub in gently with your fingers until the mixture resembles breadcrumbs. Beat the egg and egg yolk together and add to the flour mixture. Using a knife, mix until it starts to come together and then work together into a ball with your hands. You may need to add a very small amount of cold water to get the right consistency but add no more than a teaspoon or so at a time. Wrap the pastry in clingfilm and refrigerate until you are ready to use it. 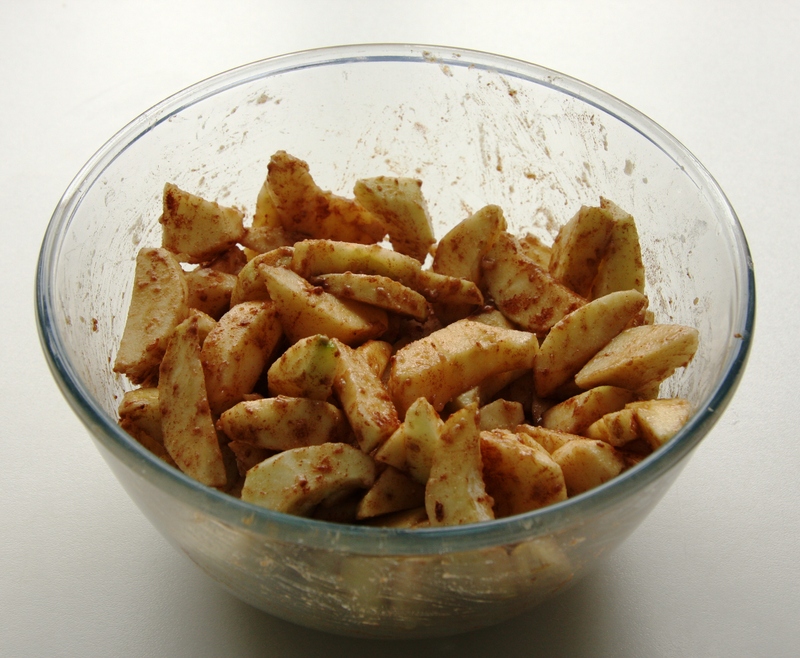 Put the peeled, cored and sliced apples into a bowl and sprinkle over the sugar, flour and cinnamon. 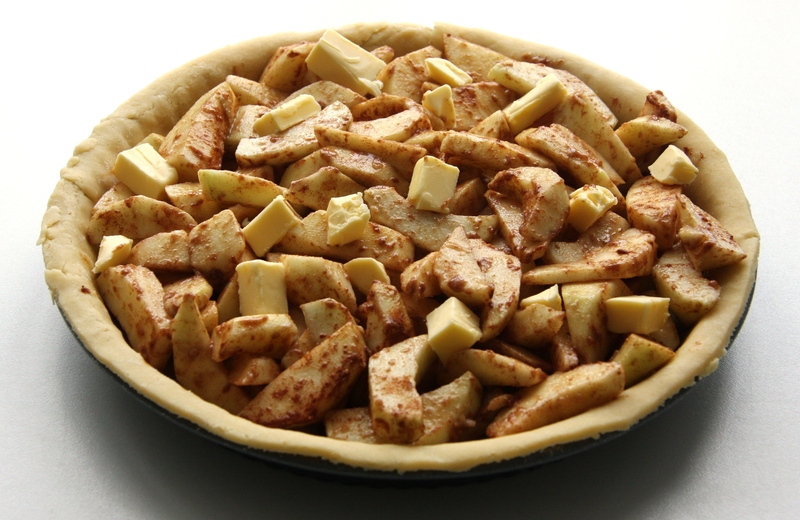 Mix well so that the apples are evenly coated in the dry ingredients. 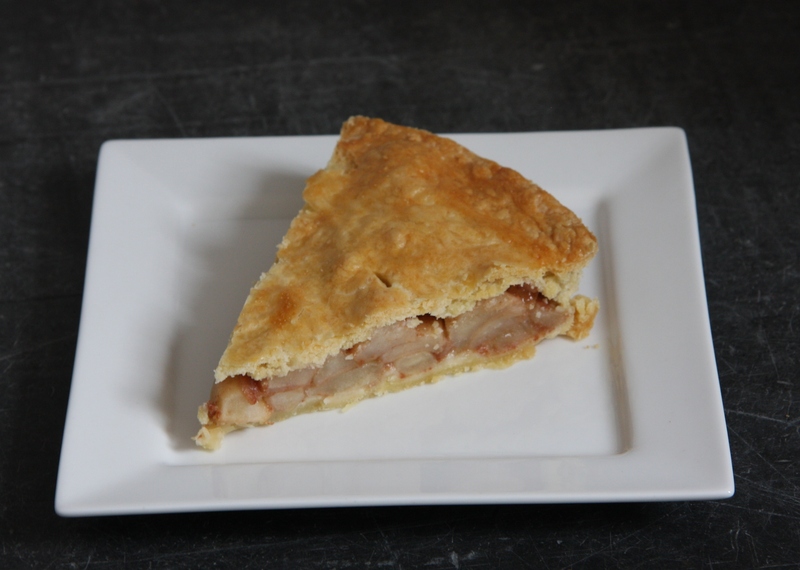 Divide the pastry into two, with one portion slightly larger than the other. 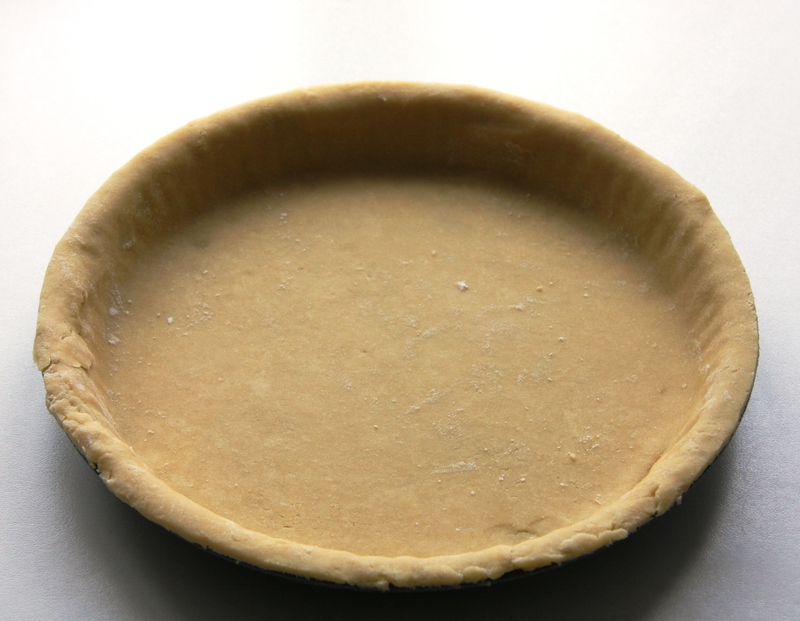 Roll out the larger piece and use it to line the base of a pie tin approximately 9-10″ wide. Trim the edges. Tip the filling into the pastry case. Cut up the butter and dot it over the surface of the apple mixture. 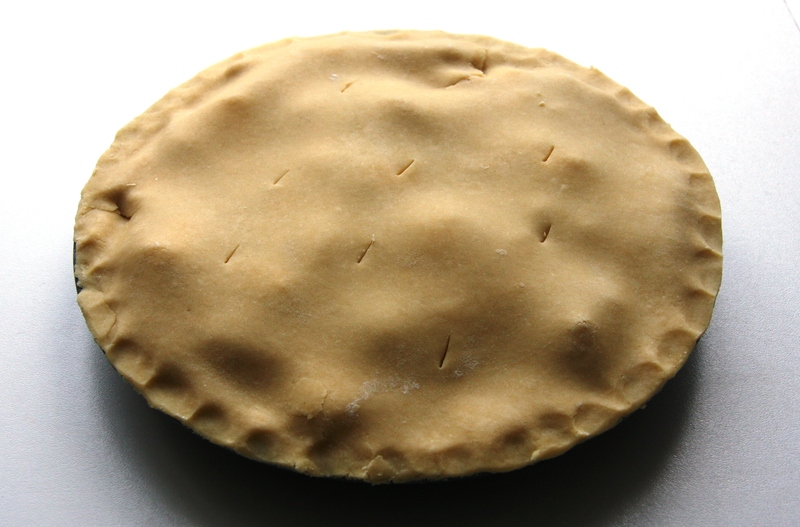 Roll out the smaller piece of pastry and use it to top the pie dish. Press around the edges with your thumbs and then trim the edges. Make a few cuts in the pastry to allow the steam to escape. 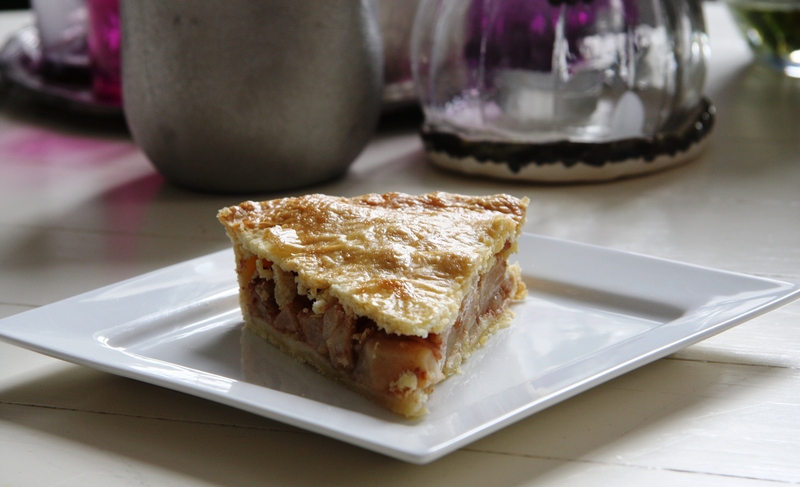 Don’t worry if you have the odd crack in your pastry. Brush the egg white over the top of the pastry with a pastry brush. Bake for around 40 minutes or until the pastry is well browned. It’s easy to make jam tarts or mini apple tarts with the leftover pastry, so don’t throw it away! Look forward to eating one! Delicious. I never thought to add butter into the filling. You are so talented – your pastry looks perfect! That is a beautiful pie! Viva la apple…what a treat to have an abundance in the nest…happy nesting!